This edition is revised and enlarged to update the material and impart more depth to author's strikingly original interpretations. 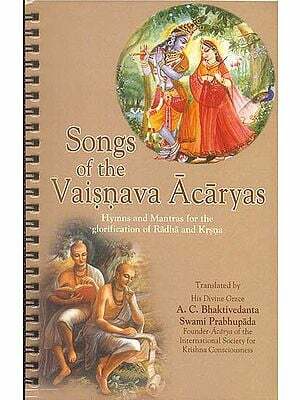 Especially those relating to Narayana and Vasudeva-Krsna. It questions the general assumption that the sentiment of personal devotion or bhakti formed a basic component of pre-Aryan aboriginal cults from which it was borrowed by later sectarian religions. The author argues that religious consciousness being an ideological reflex of man's real life process its structure also undergoes changes in conformity with the changing social relations. The adoption of the principle of ahimsa and of vegetarianism in Vaisnavism is explained in its social context. It is shown how Puranic Vaisnavism envolved in the process of revitalizing brahmanism through assimilating a number of orthodox non-conformist and tribal elements; the absorption of Mother-goddess Sri-Laksmi in the Vaisnava pantheon is a case in point. The revised edition throws fresh light on the Narasimha incarnation of Visnu and the romodelling of some Vaisnava rituals. Finally, it highlights the social role of this religion and indicates the extent of its influence- in post-Maurva and Gupta times. Suvira Jaiswal took her MA from the university of Allahabad in 1953 and received her doctorate from Patna University and joined the Centre for Historical Studies Jawaharlal Nehru University in 1971 as Associate Professor and retired in 1990 Mrs Jaiswal was made President of the Ancient India Section of the thirty-eighth session of the Indian History Congress held at Bhubaneshwar in 1977. Currently she is engaged in research on social history of early India and has prepared a historiographical survey of the work done on the subject under a scheme sponsored by the Indian Council of Social Science Research. 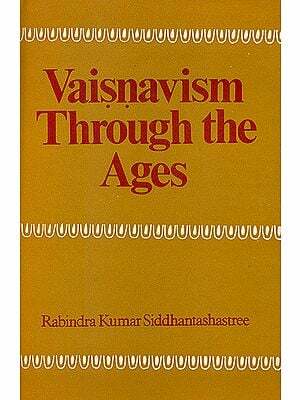 The scope of the work is limited to the history of Vaisnavism in post-Maurya and Gupta periods, although I had to go back often to earlier times to explain the rise of certain cults, rituals and doctrines in the period under study. 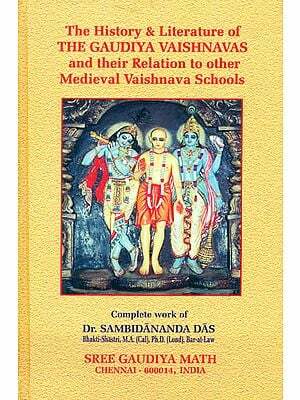 It largely embodies my thesis approved for the degree of Ph.D. at the Patna University in 1963. It was sent to press early in 1964; but due to the non-availability of certain diacritical marks in the press, the publication was much delayed, and even then the sign m could not be printed properly in most cases. I crave the indulgence of my readers on this score. I want to express my deep sense of gratitude to Professor Ram Sharan Sharma, Head of the Department of History, Patna University, who has supervised my work. His inspiring interest and exacting standards of scholarship have gone a long way to make the work what it is. I am also under obligation to Dr. Yogendra Misra, who guided me during the absence of Professor Sharma in England and gave me sound advice on several technical matters. My examiners, Professors A.L. Basham and D.C. Sircar offered me some very helpful criticisms and suggestions; to them my' most sincere thanks are due. I am deeply beholden to late Professor D.D. Kosambi, who during his last visit to Patna in 1964, found time to look through the typescript and gave me valuable advice. It is a matter of deep regret to me that the book could not come out during his lifetime. I am obliged to Professor Tan Yun-Shan, Director, Visva-Bharati, Cheena Bhavan, Santiniketan, for sending me a copy of a relevant passage found in the Chinese Tripitaka along with its English rendering. I also wish to thank Dr. Mrs. Vina Mazumdar, my erstwhile colleague and now Education Officer, University Grants Commission, for her keen interest in my work. My discussions with her have been stimulating and thought-provoking. I have also the pleasure of expressing my special thanks to Sri S.M. Karimi, Reader, Department 'of Geography, Patna University, for preparing the map and to Sri Radha Krishna Chaudhuri, Dr. Bambahadur Mishra and Dr. Dvijendra Narayan Jha for extending their help to me in various ways. For financial assistance, I am grateful to Dr. G. Jacob, the then Vice-Chancellor of Patna University, for granting me a sum of Rs. 1000.00 to meet a part of the expenses involved. Finally, I would like to thank my husband; Sri B.P. Jaiswal, for his constant encouragement and co-operation without which it would have been impossible for me to accomplish the task.